At Campbell’s we offer funerals that are tailored to your requirements. We don’t have set packages or try to fit you into a set style of funeral. We want to work with you in creating a memorable funeral and this includes working to a budget if required. Hence, what a funeral costs can vary from family to family. 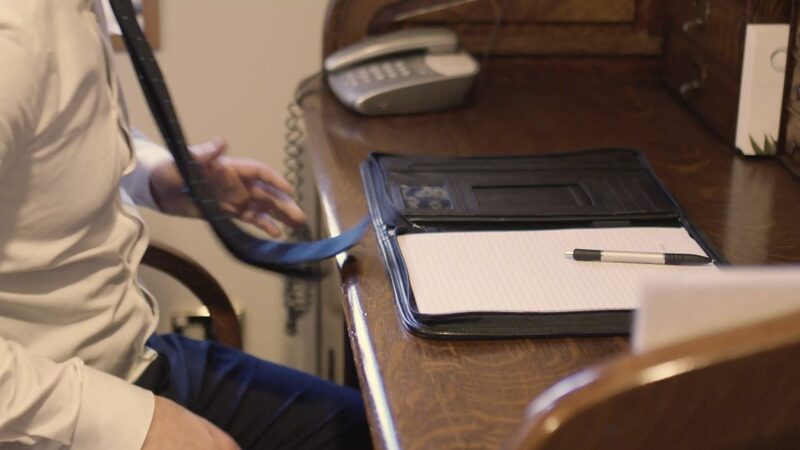 As funeral directors we often make payments on your behalf to a number of third parties involved in the funeral process, so our invoice is not exclusively the cost of using our services. Rather, we offer you the convenience of only having to worry about one invoice at the end of the process rather than having multiple accounts to settle. To help illustrate the potential costs involved in a funeral, we offer 5 examples of how the choices made can vary the cost. The family decided to have a funeral at our Mosgiel Chapel followed by afternoon tea in the Reception Lounge. The family want a celebrant to lead the service, need service sheets and have a slide show that we prepare for them. The service is going to be streamed live online for a grandson living in London. They choose a standard casket (the ‘Classic’) and have a simple casket spray for their flowers. They are expecting about 100 people and have opted to have the cremation private. One notice is placed in the newspaper. Following the cremation the ashes are scattered at a special place by the family. The family want the service at their local church, led by their minister. After the funeral service everyone will say goodbye at the hearse before it drives off for a private cremation. Refreshments will be served in the church hall and these have been arranged by the members of the church (we could have provided this service, but the family opted to use the church group). The family choose a simple casket (the ‘Classic’) with a large colourful casket spray. We prepare service sheets which include the words to the hymns to be sung. They are expecting about 100 people. We place one notice in the newspaper prior to the service. Following the cremation the ashes are to be placed in a simple wooden urn which the family will inter in an existing plot at the cemetery. The family want a funeral at the local rugby club on a Saturday followed by a burial in a new plot at Greenpark Cemetery. The location is important and they want to reflect this in the service. The family want to have the casket at home for several days before the funeral service. The service is to be led by a celebrant and at the end of the funeral service everyone will move to Green Park Cemetery for a burial in a new plot. After the burial everyone is invited to return to the rugby club for refreshments which includes a few drinks. The family selected a casket made from sustainable NZ pine (the ‘Eco Pine’). They have a family friend who is a florist and offers to provide the flowers. We provide service sheets, but the grandson of the person who died creates the slide show. We organise AV equipment and sound system hire for the venue. They are expecting about 100 people. The family want a very simple private service at our Mosgiel Chapel. The service is to be led by a celebrant and a private cremation will follow. They do not wish to have service sheets or a photographic tribute and a grand-daughter will bring flowers from the family garden to place on the casket. At the conclusion of the service everyone is invited to the local RSA to share some time together. Later the family will collect the ashes to take home. They are expecting about 100 people. The person who died didn’t want to have a funeral. They didn’t want to cause any fuss or bother for those left behind. Wanting to respect this decision the family opted for a no service cremation. This meant that we transfered the loved one from the rest home where they died, brought them back into our care, took care of all the legal requirements such as gathering the medical and cremation documentation and permissions, registered the death, and then proceeded with the Direct Cremation using an unadorned light mdf casket liner. There was no viewing or notice placed in the paper, nor flowers or service sheets.